Preview: Easy to make football activity for kids! 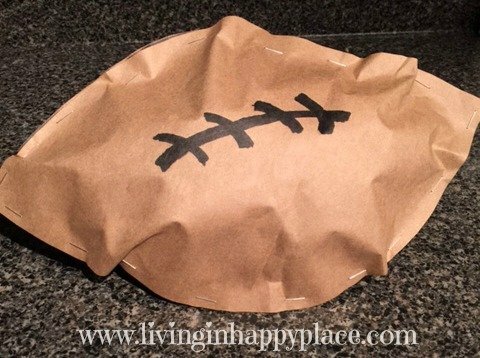 It’s the perfect football craft idea for Super Bowl parties! Keep the kids busy during the big game with this DIY football activity for kids! It’s easy to make and the perfect football craft for preschoolers, toddlers, and all children for football parties and Super Bowl parties. 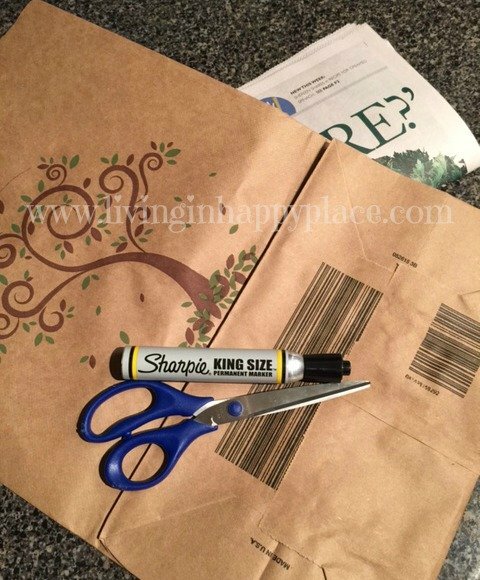 This paper bag foot craft uses items you probably have in your house. Anyone can make this football and it could also be a stylish table football table decoration or Super Bowl centerpiece! When I was a kid, I once saw my dad jump so high that his head touched the ceiling. He was watching a football game. I remember this moment very clearly- like it happened last week. It’s one of those moments from childhood that stick with you. I couldn’t believe my eyes! I doubt he could reach the ceiling now at his age but I don’t doubt that his favorite team could make him want to try. I don’t think younger kids know what to do with football season. People scream at the television, all wear “the same shirt” (as my daughter says), and have a party to watch tv. Frankly, I kind of agree! That is why I put myself in charge of the kids on game day. I like to find some activity or game day craft for them to do that involves them in the party but keeps them away from the “passion” of the spectators. 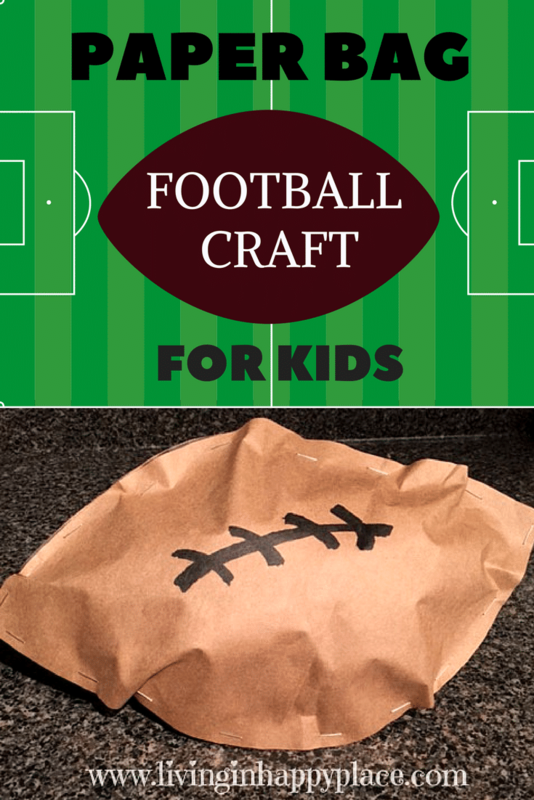 Let’s make a paper bag football craft! 1. Laying the paper bag flat with its natural folds, draw a football shape. (It doesn’t have to be exact). 2. Cut out the shape so that you have two footballs. By leaving the bag folded, you should only have to cut once to get two footballs (one from each side of the bag). 3. 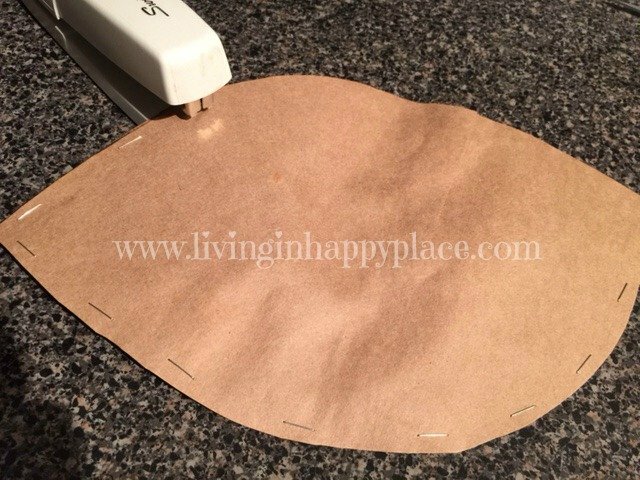 Staple around the shape but leave one side open for “stuffing”. 4. 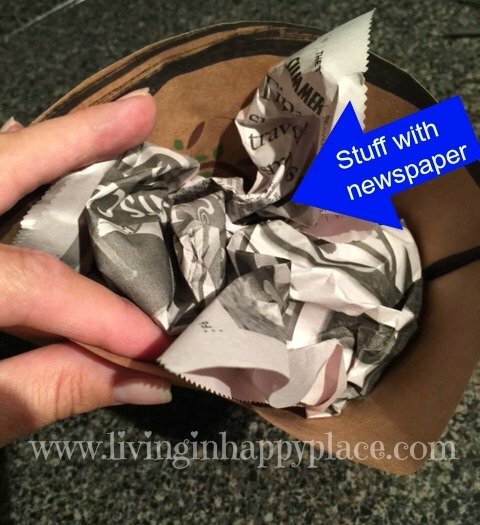 Using crumpled newspaper, paper towels, construction paper (or any other soft item) stuff the football to the desired fullness (be sure to leave room to staple it closed). 5. Finish stapling around the opening side to close the football. 6. Draw the stitching of the football on one side with a marker or pen. Move your lamps and let the game begin! Weather permitting, kids could kick or pass the ball around the yard or start their own game. If they have to stay inside, they could decorate the ball with their favorite team colors or just carry it around to feel like they are included in the football fun! This game day craft football could also be a great decoration for the food table or used as part of a football themed centerpiece! You are serving Easy Parmesan Noodles and Chocolate Chip Cookie Balls, right? How do you keep the kids busy during “the big game”? Would this football activity for kids help? 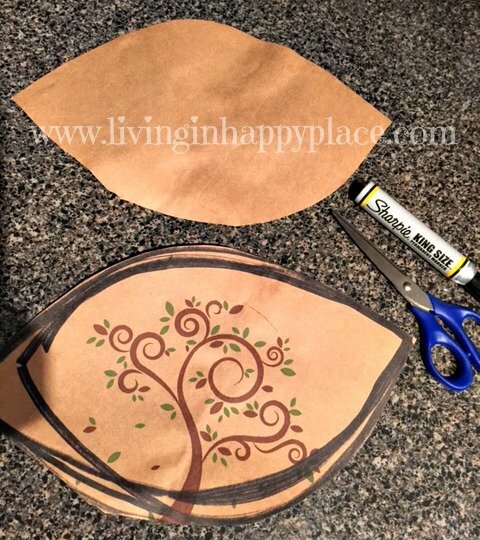 Looks like a fun craft for kids this time of year! Thank you! It definitely keeps the kids occupied for a while during the game. Thanks for linking up on Simply Sundays link up party!